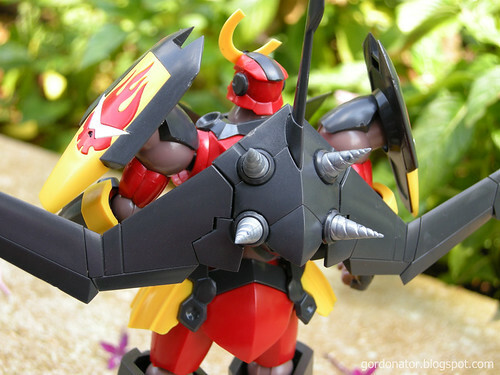 Shown here is the Kotobukiya Non-scale Gurren Lagann model kit which cost me 3800YEN. The size is similar to a 1/144 scale Gundam. Its kinda expensive compared to a Gundam kit of the same proportion. But I bought it anyway as this is hard to find in Singapore and this is the last one in the store. Ok enough about the negative rants. The good thing is that the colours are pretty accurate. Only a minimum account of painting is needed. Well guess that’s the only good thing there is to this kit. It wouldn’t be so bad if it wasn’t for the high price. Using the shades as boomerang. I forgot to remove the one on the chest since he is already holding it in his hand. My bad. The kit comes with this 15cm paper craft Giga Drill where one must cut, fold, glue and paste yourselves. 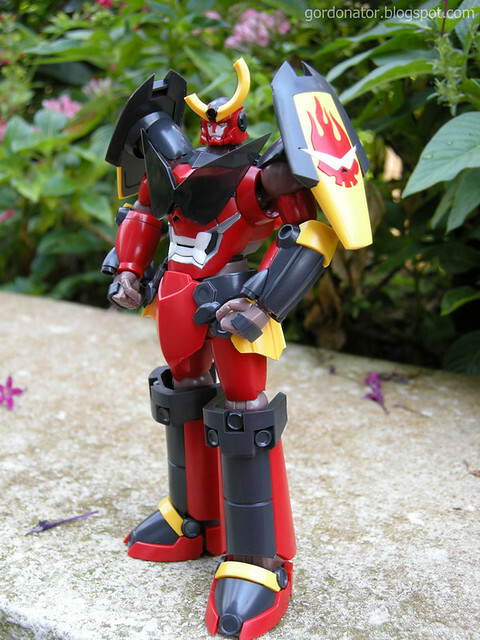 Those who want quality and has 18,800YEN to spare then you may want to consider this die-cast Great Impact Model Gurren Lagann by Konami. A review of it can be found here. I love this one the most but it’s probably all sold out by now everywhere. 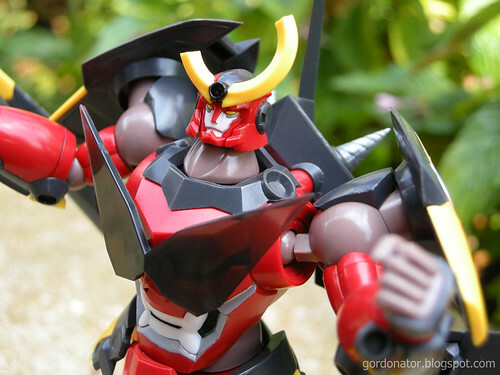 Or for those who are broke, you may consider the Revoltech Gurren Lagann for only 1900YEN. Pics here. I like the flexibility and variety of poses it can do. 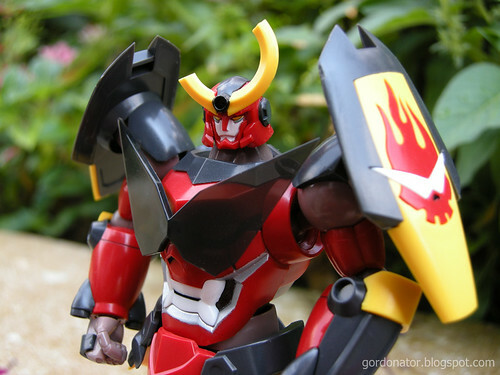 18 Responses to Gurren Lagann Spin On! But that’s probably thanks to you fixing it up well. Gordon: you could try using cement on the loose parts then sand down till they fit. 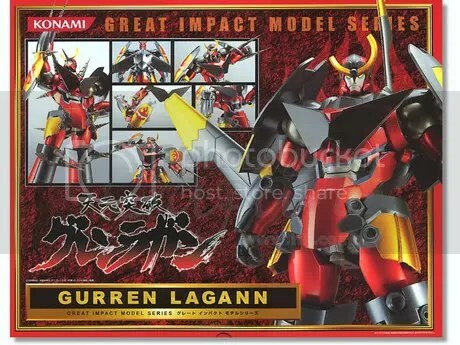 well this is an awesome post only cause i’ve been debating on whether or not i want this kit or not. I’m pretty picky with gundam type stuff and having to build them myself means i’m going to want quality. I’m just going to try and find the Konami one instead i guess. Other than that love the photo shoot, i would never have guess the giga drill was paper, it looks so great in your shoot! thanks, its not hard to make a model kit looks good. all it takes is love and passion. thanks. i didn’t knew u were into mecha. it would have look better if the stand isn’t there. only realise it after i got home from the shoot. 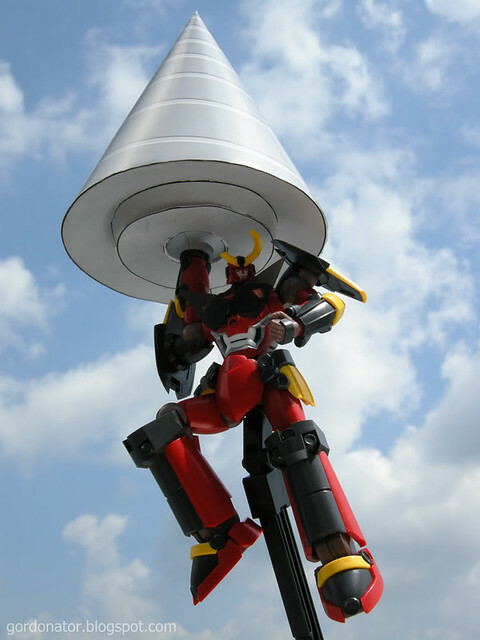 u can get the Revoltech Gurren Lagann (coming soon) which is only 1900yen. around S$20++. classic? i believe innovative is a better word. 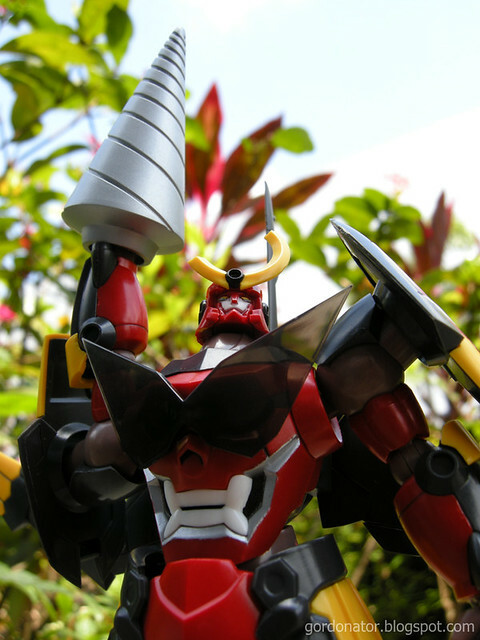 the idea of drills, spiral power and mecha having huge face on their body is something new. Well, it’d be classic soon. 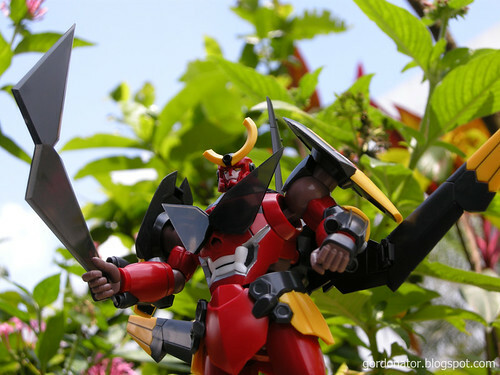 That drill is the drill that will PIERCE THE HEAVENS! ya maybe u are right. i look forward to your review then. KKnM getting the Revoltech? 1900 Yen is affodable ^^. But any word on its scale? 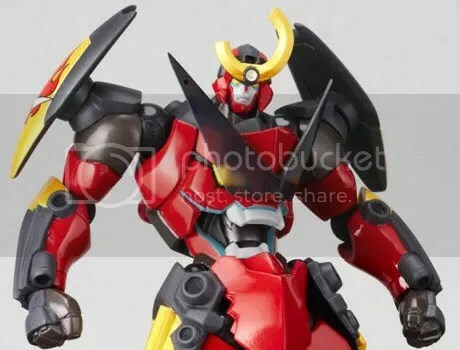 I’m not normally a figure collector, but I LOVED Gainax’s work on TTGL, especially Gurren Lagann itself, so this is VERY tempting. i think u should be able to get the Revoltech at most major anime stores. scale should be 1/9. thanks for the tip. a bit of tape works too.